7 inch Pliers marked “SSP SHEFFIELD ENGLAND” suit several Jaguar tool kits. Original jack ratchet handle, by SJS (Smiths Jacking System). Showing both sides. Note – this is an original, not a repro and as such has a bit of age and age related marks, but it is in good working condition. 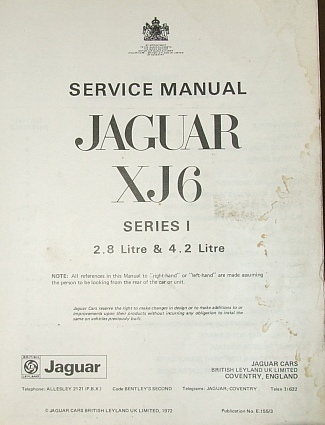 Some vehicles these would be suitable for: Jaguar XK120, XK140, XK150 Mark I Mark 2, Triumph TR2, TR3. .
Metallifacture Jack Ratchet Handle, 1/2 sq drive, ratchet works fine, no splits. Good condition. 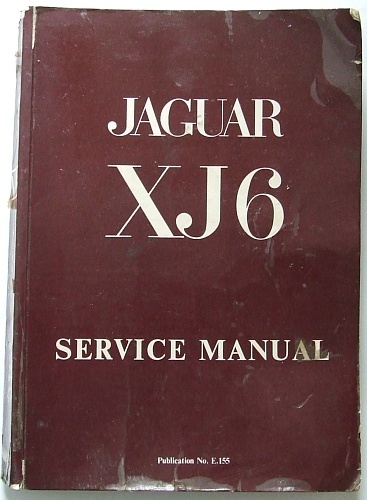 This may suit E type Metaliffacture jacks, possibly others. 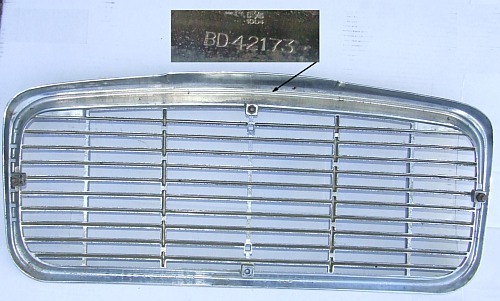 Jaguar Series II XJ-6; Front Grille - BD-42173 I think it will fit 73-79 models. Looks to be OEM, good condition. Pictures show front and back. An "A" frame SJS jack, for the Mk 2 Jaguar (as described by the previous owner). Note the lifting spigot is 1-1/4” I beam x 3/4", and of very solid construction. 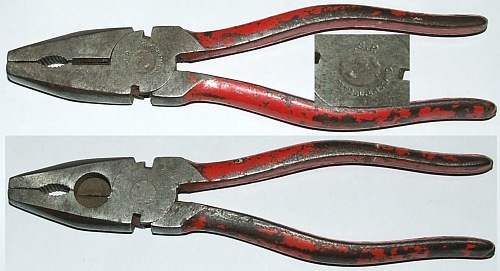 The right ratchet handle (SJS) is shown beside the jack, however, the riets have been interfered with. SJS designates “Smiths Jacking System” It is 20.5" tall, the pigot extends 10" Marked "SMITHS Jacking Systems Ltd, England, Pat 625,500. Dunlop 9” Tyre Levers Pair, each marked "DUNLOP over MADE IN ENGLAND" This is an original item, not a repro. these markings were used post WW2. Marked A/H 7657 A - this is thought to be an Australoy Healing version of the Churchill tool no 7657. A similar tool is listed in V/L Churchill cataklogues. Jaguar Folding Wheel Nut Wrench, should fit cars with pressed steel wheels: MK 7/8/9, MK1 / MK10/420G, MK2/S-Type/420, E-Type S2/3. Please note that the socket is 3/4 A/F. 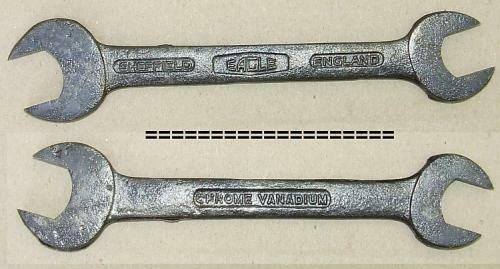 Spanner marked "Sheffield EAGLE England / CHROME VANADIUM" (3/4 x 9/16) as used in some Jag toolkits. 7 Inch Pliers, for English cars. Marked "SSP Sheffield"